Richard Linklater’s 2003 film School of Rock is generally considered a modern classic. The story of the stuffy private school classroom being converted into a rock band has even inspired real “schools of rock” encouraging kids to get into music. 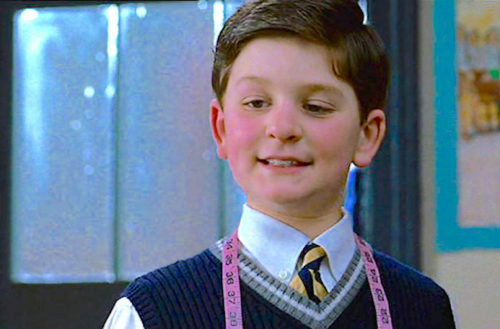 I was very quickly labeled “the gay kid from School of Rock” once the movie came out both among peers at the time and on a wide scale. It was a tough thing to be labeled at such a young age because for starters, I really barely knew what being gay really meant. All I knew about it was from the context I was hearing it in and in the fifth grade, growing up in a fairly conservative area 12 years ago, it definitely had a negative connotation. Even though Falduto’s character was a heightened version of himself, he didn’t always get his lines. The costume designer had to explain who Liza Minelli, his character’s favorite singer, was. This rejection of being gay was embedded in me very early on in a deep area of my brain, but I don’t regret anything. I love that my journey was this because I feel I was meant to have this past with an LGBTQ struggle because now that I’m able to look at everything more clearly, I’m so proud of how full circle I’ve come – I feel I’m now my truest self. 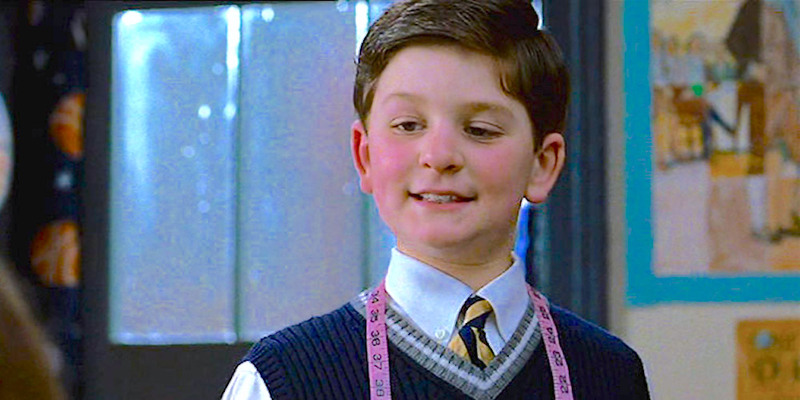 And I love that I was able to be Billy in School of Rock with such unhindered confidence at a young age because I’ve heard such lovely stories from people and how they related to it. If my life had been a breeze after the movie, I don’t think I would value my role in the movie or my role in the LGBTQ community nearly as much as I now do. We’re glad that the story has a happy ending. And lest you think that Falduto’s career ended with School of Rock, he’s continued his career as an actor and musician. In fact, Falduto has just released his debut EP, Love One Another.